**Nicholas Flamel appeared in J.K. Rowling’s Harry Potter—but did you know he really lived? And he might still be alive today! 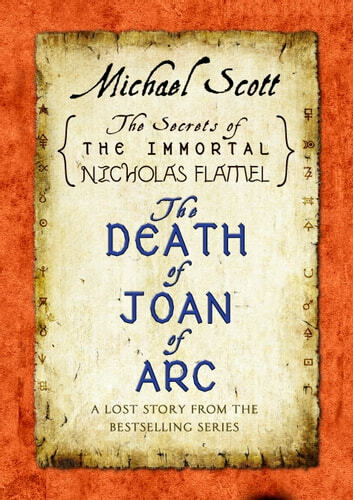 **Discover the truth in Michael Scott’s New York Times bestselling series the Secrets of the Immortal Nicholas Flamel with The Death of Joan of Arc, an ebook original. In this never-before-seen lost story, Joan of Arc was not burned at the stake in Rouen, France in 1431. She was rescued from certain death by Scathach the Warrior. The truth about that day is revealed in the last will and testament of William of York, and it will leave you wondering: does Joan of Arc still walk the earth? It was good but not very long. I think it could have gone more into depth. I read this book in like half an hour an it was really sad because I was planning on more to be able to read it. I think this could have been included onto the other books or something. It's like a chapter long. Info like the story though because it is good but NOT LONG ENOUGH. Kinda sad story actually. I expected a little more. I didn't realize it was about when Scathach helped her escape being burned at the stake. 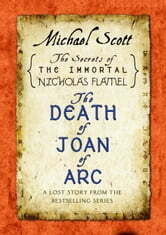 I thought it was a continuation of the original story but specific to Joan of arc...I was wrong.. It was a excellent read....fascinating short story and would enjoy reading more from this author.